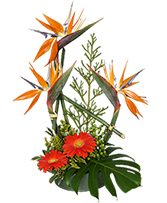 Welcome to Paradise. 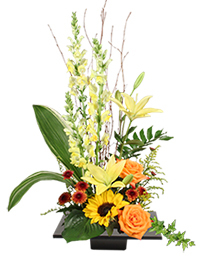 The perfect arrangement for any occasion! 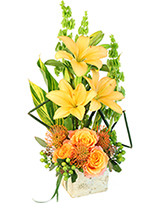 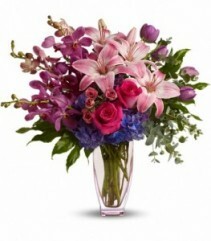 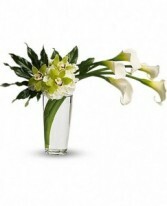 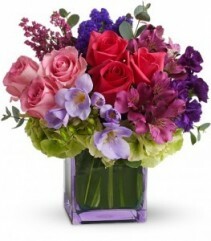 Make someone feel warm and fuzzy inside with this beautiful stylish first class arrangment! 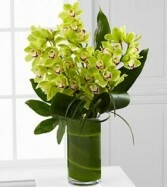 Turn her friends green with envy! 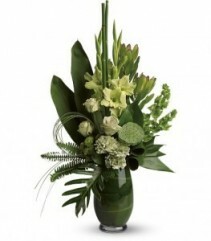 This lush, Zen arrangement mixes serene shades of green in a unique, leaf-lined vase that's sure to steal the limelight. Go green, and make the world a better place! 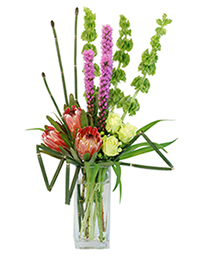 Send this glorious all-green floral arrangement! 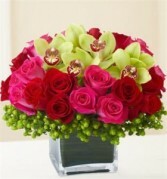 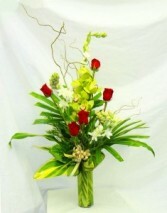 Roses and Cymbidium Orchids in a clear cube arranged with berries and greenery. 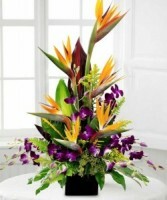 Unbelievably breathtaking. 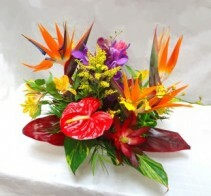 BIRD OF PARADISE CENTERPIECE $75 A truly colorful assortment of Hawaiian Flowers. 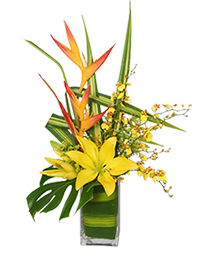 Consisting of a variety of Orchids, Bird of Paradise and other seasonal Hawaiian Flowers. Approx. 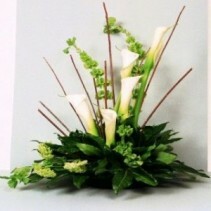 10 to 12 inches tall 14 to 15 inches wide. Contemporary and stunning arrangement of calla lillies, willow, bells of Ireland, viburnum and finished off with aralia leaves. 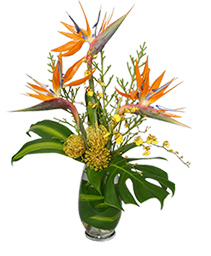 Hand designed and delivery by Enchanted Florist of Cape Coral. 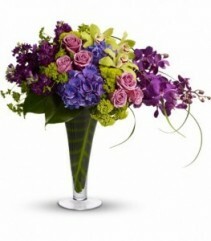 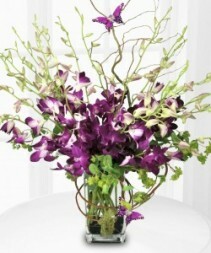 A modern arrangement effortlessly filled with sumptuous orchids in majestic shades of purple. 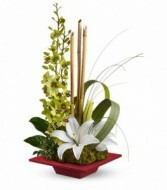 ive the gift of serenity with this lovely arrangement of orchids, lilies and artistic greenery stunningly presented in a chic red bamboo dish. 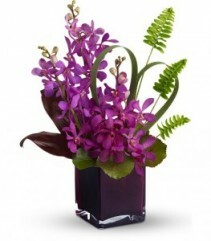 An enchanting touch of Shangri-La for home, office or anywhere that could use the blessed gift of peace.